Tasteful and meeting high standards it is an additional to the island’s unique elegance and is in itself a reason for a trip to the island of Hydra, Greece. Hydra Hotel is a chic small hotel that includes 8 stylish rooms. Located in the heart of the island is situated in an impressive building from the turn of the century. This is the perfect place for those looking for privacy and tranquility.  Recently completely renovated is an elegant place for a sophisticated stay. Each room has its own distinctive stylish decoration. 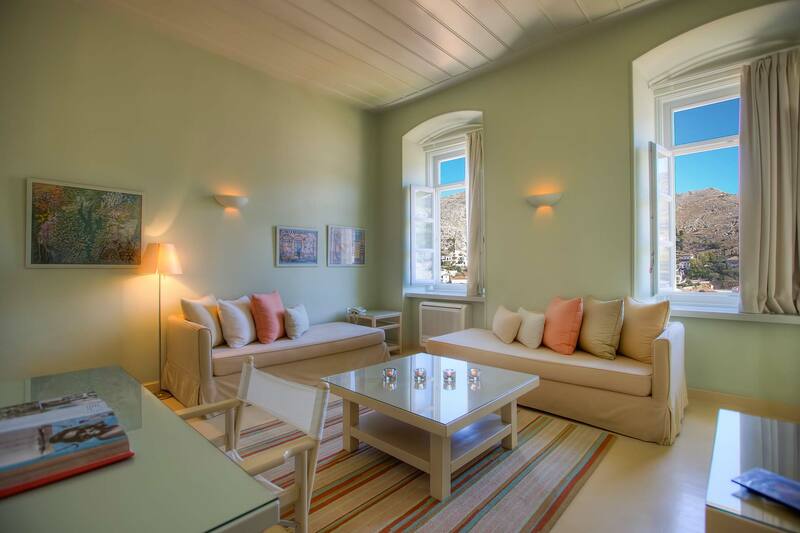 Rooms with panoramic view offer a magnificent view of the town and the Argosaronic Gulf. One and a half hours away from the port of Piraeus, Greece. Very close to the ancient theater of Epidavros. We invite you to an absolutely heaven ! 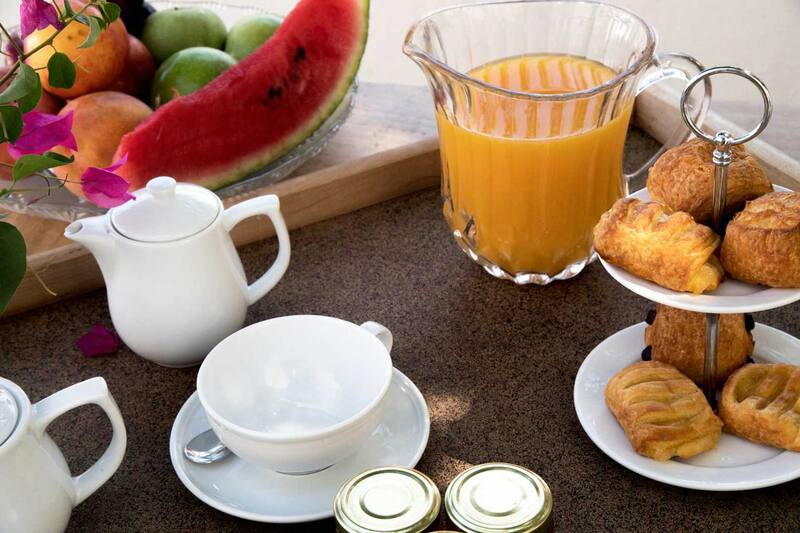 Breakfast is served any time between 09:00 - 12:00 in the room or in our inner patio. Home-made delicious products! Credit cards: American Express, Visa, MasterCard, Diners Club. 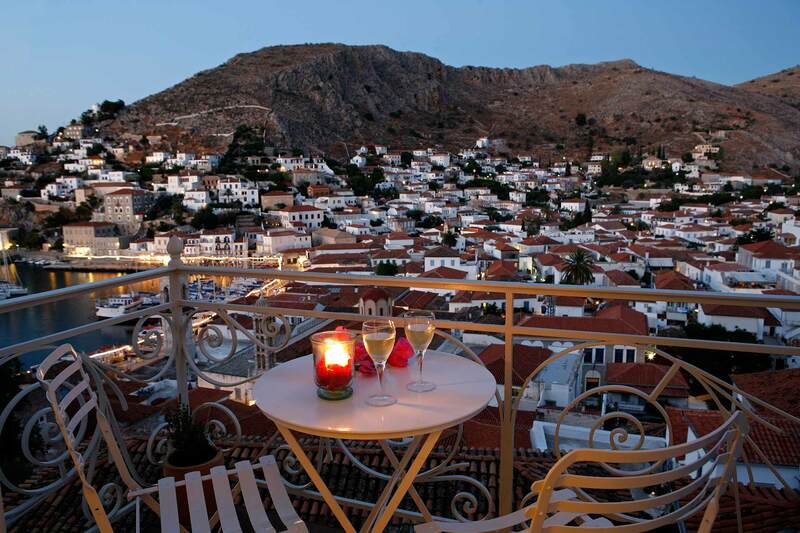 Hydra Hotel is the perfect place for those looking for privacy and tranquillity. Recently completely renovated is an elegant place for a sophisticated stay. Each room has its own distinctive stylish decoration. 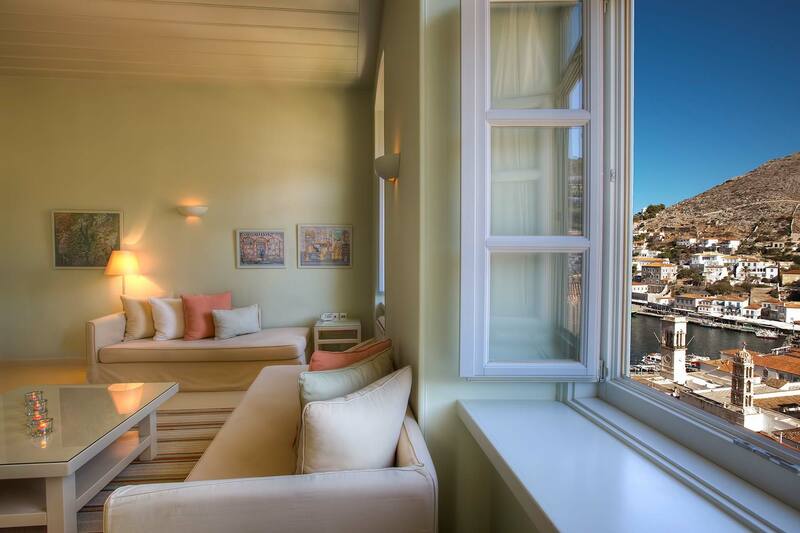 Rooms with panoramic view offer a magnificent view of the town and the Argosaronic Gulf.